On May 12, 2016, the Occupational Safety and Health Administration (OSHA) issued a final rule revising its recordkeeping and reporting of occupational injuries and illnesses requirements. 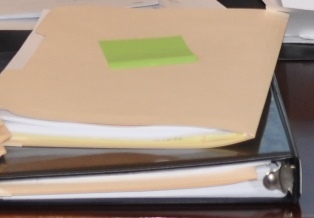 In addition to requiring electronic submission of workplace injury and illness information, the regulations include new employer requirements regarding creating and communicating procedures for reporting workplace injury and illnesses and new prohibitions regarding discrimination against an employee for reporting a workplace injury or illness. These revisions will require employers to review and revise several policies and procedures. Under the regulations, employers must establish a “reasonable procedure for employees to report work related injuries and illnesses promptly and accurately” and inform employees of that procedure. OSHA’s comments indicate this provision was implemented in response to OSHA’s concerns that certain employee reporting obligations are too difficult. More significantly, OSHA commented that employer policies that require immediate reporting of workplace injuries are unreasonable under the new regulation if there are no stated exceptions for injuries or illnesses that build up over time, have latency periods or do not initially appear serious enough to be recordable. Instead, OSHA commented that employers must permit reporting of work related injuries “within a reasonable time frame” after the employee has realized that he or she has suffered a work related injury. Employers have legitimate reasons for requiring immediate reporting of injuries such as being able to immediately investigate and address unsafe work conditions (or employees performing unsafe acts). Employers also know that some workplace injuries are not reported immediately because employees want to avoid taking and failing a drug test. Additional non-discrimination provisions were added to the regulation that previously addressed employee involvement in recordkeeping and employee access to injury and illness records. The non-discrimination language is an additional prohibition against discrimination over and above Section 11(C) of the OSH Act. Therefore, the new regulations open the door to OSHA citations independent of the Section 11(C) anti-discrimination provisions. Section 11(C) requires a complaining party to file a written complaint within 30 days of the alleged discriminatory act. Additionally, those complaints follow a procedural and investigatory process distinct from a typical citation resulting from a compliance officer’s inspection. Under the revisions, it appears that compliance officers can now cite employers without an employee complaint based solely upon their inspection and review of employer policies. OSHA’s comments to the new regulations indicate that one focus of the nondiscrimination provision is on disciplinary policies, post-accident drug testing policies and incentive programs that may discourage reporting of workplace injuries or illnesses. For example, a policy that could be used to discipline an employee for having too many workplace injuries or workers’ compensation claims would be retaliatory under OSHA’s interpretation of the regulations. Additionally, incentive programs that discourage reporting workplace illnesses and injuries (such as a program that provides monetary bonuses to all employees for low rates of reported injuries or illnesses) would run afoul of this new regulation. Moreover, OSHA commented that employer policies mandating automatic post-injury drug testing is a form of adverse action that could discourage reporting and be discriminatory. According to OSHA, blanket post-injury drug testing will be deemed a violation of the new regulations if those policies require drug testing where drug use is unlikely to have contributed to an incident such as where an employee reports a “bee sting” or “repetitive strain injury” or “an injury caused by lack of machine guarding or a machine or tool malfunction.” OSHA commented that an employer who conducts drug testing to comply with the requirements of a state or federal law or regulation (such as Department of Transportation drug testing or compliance with Ohio BWC drug testing requirements) would not violate the new regulation. However, OSHA also commented that if the drug test “does not identify recent impairment but only use at some time in the recent past, requiring the employee to be drug tested may inappropriately deter reporting.” Drug testing policies typically provide for disciplinary action based upon positive test results not necessarily actual impairment. Finally, OSHA commented that an employer’s duty to inform employees of their right to report a workplace injury without being subject to discrimination will be satisfied with a recent OSHA posting, such as those that appear on a typical fair employment practices poster. This is another good reason to make sure posters are up-to-date and posted at all workplaces. While OSHA has been targeting policies, procedures and incentives that could discourage employee reporting of workplace injuries for several years, the new regulations provide actual regulatory authority for citations by compliance officers based upon the employer’s policies – regardless of whether an employee complained or actually suffered discrimination related to a workplace injury. This, coupled with penalty increases of nearly 80% as of August 1, 2016, will require employers to carefully review injury reporting, drug testing and safety incentive policies. The maximum penalty for a serious citation increased from $7,000 to $12,471 and the maximum penalty for a willful or repeat citation increased from $70,000 to $124,709. The anti-discrimination provisions contained in the revised regulations (29 CFR 1904.35 and 29 CFR 1904.36) were effective August 10, 2016, but OSHA recently announced that it will delay the enforcement of those provisions until December 1, 2016. There is already a legal challenge to the regulations pending. As for the new electronic submission of information, companies with 250 or more employees or those in specific industries, will be required to electronically submit information from its Form 300A by July 1, 2017, and submit information from Forms 300A, 300 and 301 by July 1, 2018. The electronic submission of specific information is not a substitute for maintaining OSHA forms electronically or otherwise. The electronic information will be posted by establishment on a public website. OSHA indicated it will remove any personally identifiable information before the data is released to the public. OSHA will establish a portal for electronically inputting the data and will be providing employers more information regarding accessing the portal and submitting the data. Pursuant to the new regulations, employers will not be submitting employee names and addresses, names of physicians or health care professionals or treatment facilities. These requirements also apply to employers located in states with state plans and those states must adopt requirements that are substantially identical to the new OSHA recordkeeping requirements. In sum, employers should review and revise specific policies and procedures, including drug testing policies, to ensure compliance with the new regulations. Should you have any questions regarding these regulations, please contact either James B. Yates or Sarah E. Pawlicki. The Supreme Court of Ohio decided a case recently addressing proof of workplace injury. You can read more about it on our web site.